Biovest International Endotronics Acusyst-S Cell Culture Systems . New Life Scientific, Inc.
- Good cosmetic condition minimal wear and age. 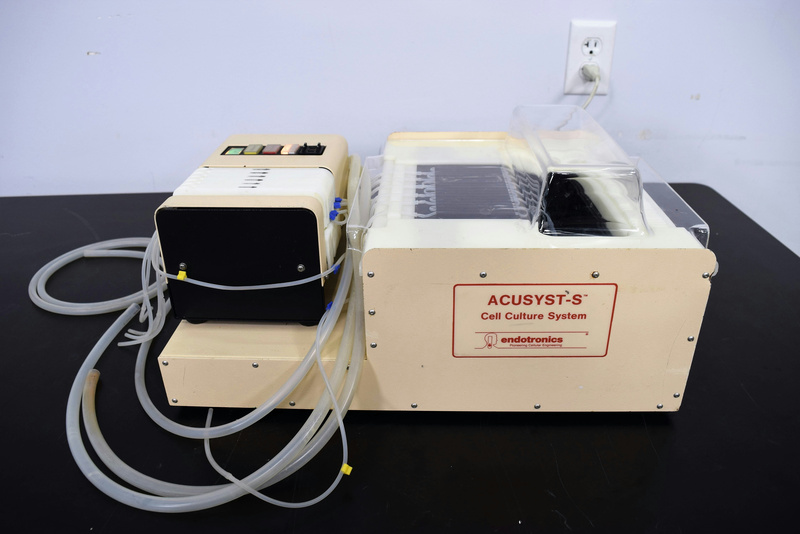 This is a discontinued cell culture system that appears to be in good working condition. Comes with the H2O hoses for input and output ports also for the gas input, the pump is in good working order. Our on-site technicians visually inspected the equipment; it passed basic initialization and the pump was tested to confirm that it is in working condition. No problems were found during any of these inspections by our staff.